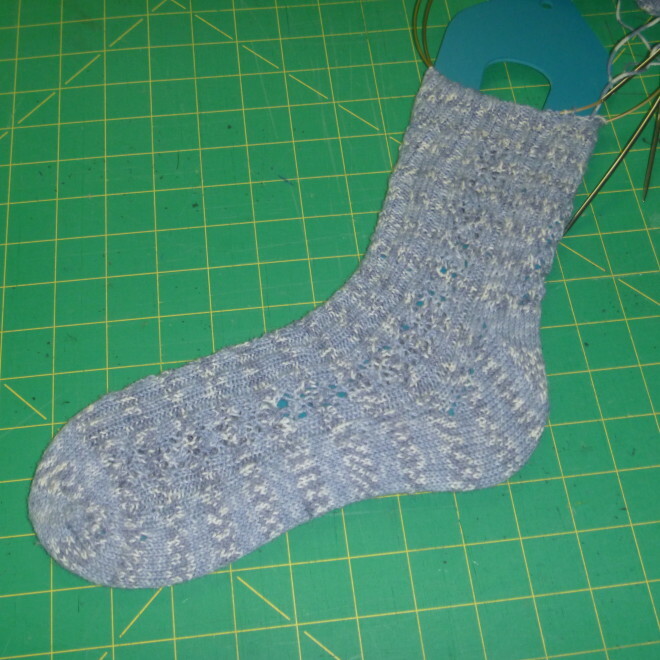 At last – the socks that did not want to be finished are finished except for the bind off. I’m wanting to use “Jenny’s Surprisingly Stretchy Bindoff” which is new to me, so will finish them when I have had time to learn it in a day or two. Other than that the pair is finished. A normal pair of socks will average about 18 0 20 hours for the pair. This pair took a lot longer, since the pattern wasn’t long enough in the foot and I didn’t realize that until I had turned the heel. Then about 4 inches had to come out. So the socks were set aside for awhile. I plan to finish the bind off before week’s end.